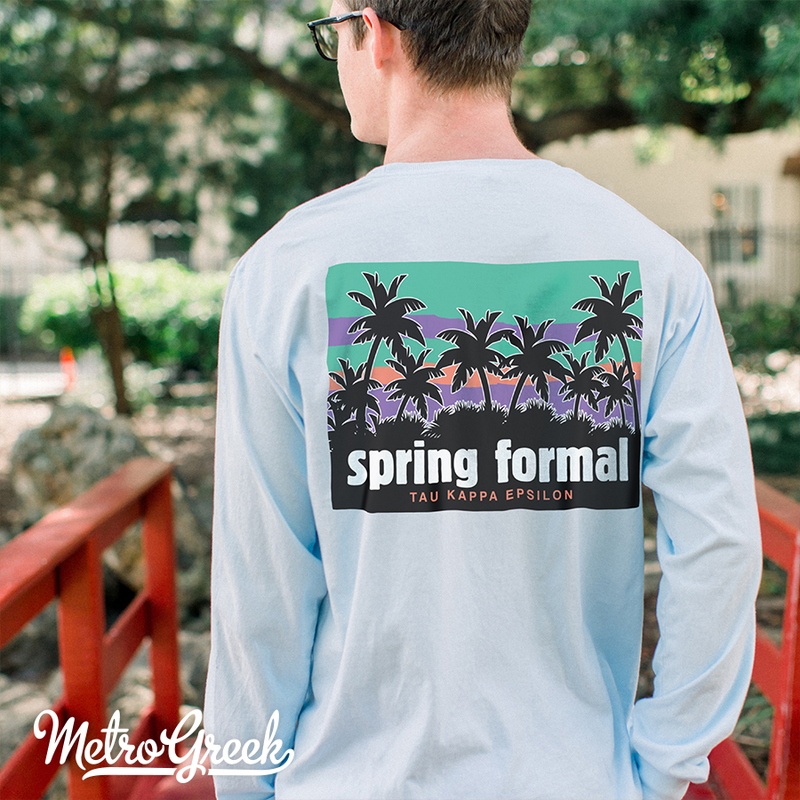 Bring a little bit of the beach home with you with this Spring Formal design featuring Tau Kappa Epsilon. This colorful palm tree design goes great with a Comfort Colors long sleeve shirt in Chambray. Contact us today to get this design customized for your Greek organization!